Eye bags are one of the major problems today, generally faced by huge amount of individual in present day’s hectic life. The pace of life can add stress and anxiety to our mind, which is also affecting our eyes. The stress always reflected in the form of shadows under our eyes. 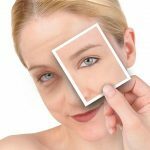 So that you have to identify the reason before taking the remedial actions which are extremely important to prevent some undue effects like eye bags on our health. The presence of eye bags must be an indication for lots of ailments. A sudden development of eye bag can be raised due to allergic reaction coming from food or cosmetic products. There are lots of allergies which must be stopped though perfect medication. Hereditary is other major reason for developing puffiness under your eyes. It can also be an indication of the deficiency of proper nutrition like proteins, vitamins, folic acids or sufficient amount of fats. Lack of sufficient amount of sleep, getting over stress, and watching television or computer screens for long time can make a negative effect on the health of your eyes, this leads to puffiness or eye bags. Eye bags can also be developed if the person is exposed long hours on sun. Other common cause for the development of eye bags are over smoking, over alcohol drinking, hormonal imbalances or issues connected with kidneys or the large intestines. 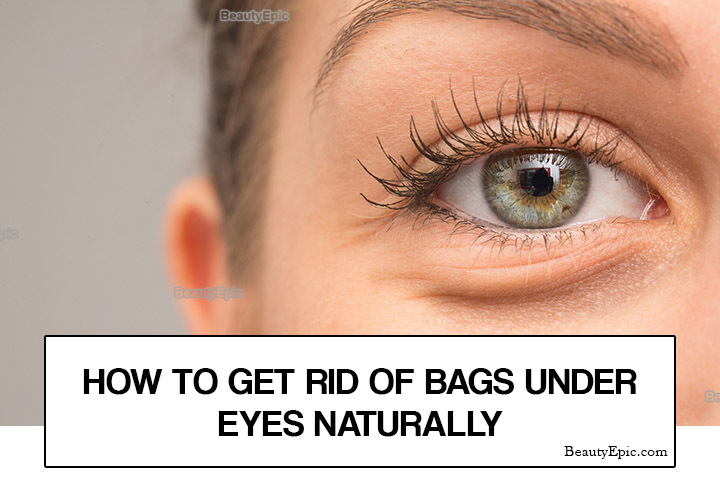 So here are some perfect natural ways to get rid of bags under eyes. Other effective solution of bags under eyes is cold compress. Try to apply a cold compress for at least ten to fifteen minutes, once or twice a day. Take the compress for a few minutes on your freeze. After that use it direct on your eyes. You find the gel compresses at stores; these all are specially designed for your eye area. But this method only works just for a few hours; this is not a permanent solution. Teabags are most effective way to get rid of bags under eyes quickly. If you are in urgency, you can take the two teabags, then moisten them, and after that place them in your freeze for a few minutes. Next put these cold teabags on your eyes for minimum 15 to 20 minutes and then wash your face very gently. The eyes bag will be gone very quickly and you may feel very fresh and rejuvenated. Another way to utilize this teabag is with hot water. In this step, you have to boil some amount of water and then take two teabags in it. Next take out this teabag after 2 minutes and allow them to become dry. After that, place this teabag under your eyes if these turn perfectly cool. You can also utilize flavored teabags like peppermint flavor or cardamom flavor. These all help you to get the benefit of aromatherapy that can make your nerves soothe. This is one of the oldest and most effective tricks which you can easily find in the book. Just get slices of chilled cucumber and then place the slices on your eyes. Try to keep it for more than 30 minutes. This chilled cucumber will provide you a relief. Take just a few drops of this oil with some amount of chilled water. Then dip a cotton balls in this mixture and after that place the cotton balls on your eyes. Vitamin E always gives a soothing effect and chilled water gives the coolness. You must get a relief from this eye bags within approximately 20 – 25 minutes. This is one of the great ways to get rid of bags under your eyes fast. Use a high quality under eye wrinkle cream, it is one of the ideal ways to smooth and tighten the soft skin around your eyes. But you have to choose a perfect cream to choose an ideal Eye wrinkle cream; you can read reviews of various website. One of the main reasons of this under eye bags is consumption of huge amount of salty food. This excess salt in your body can attract more amount of water to the face. This fact might lead to eye bags. One way to get rid of bags under eyes naturally is to drink sufficient water. Because excess water in your body will assist in flushing down this excess amount of salt. So, try to keep drinking huge amount of water which helps you to regain your fresh look. Lifestyle is one the largest reason to formation of eye bags. 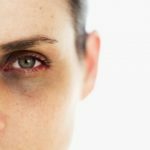 If you’ve been spending some sleepless nights together or if you haven’t been maintaining the perfect eating habit, you must not be surprised to observe a eye bag under your eyes. Lack of sufficient amount of sleep, Stress, bad eating habits-these all are some of the most common reason of it. Of course, the most recommended natural way to reduce bags under eyes is to live a healthy lifestyle. However it isn’t as easy or simple as it sounds; today life is so busy so getting sufficient amount of sleep is a luxury habit. But enough sleep is very important to get rid from eye bags and maintain a healthy life. So if you didn’t get proper sleep but still desire to get a fresh, it is totally absurd. According to the specialist, all human being needs a minimum of eight hours of sleep which can decrease the chances of formation of eye bags. That’s why, try to stop spending long hours in front of the TV or at the computer monitor screen and try to give your eyes some breaks. The eye bags which is formed by allergies reaction need to seek the advice of a specialist to evaluate the problems. A proper identification and treatment is important suffer. A delay must be potentially dangerous, so if this eyes bag occurs due to unknown reason, visit the doctor very quickly. In conclusion, you became successful to treat bags under eyes at home, you must be a knowledgeable consumer and you have to do proper research to find the best ways first. After that, you will be successful to get the proper way to reduce the eye bags.